Last week, I took another trip to 246 Common in Omotesando, where I had a gorgeous bowl of Okinawan stewed pork belly (rafute) served over rice. There were two pieces of pork — the meat on one piece was well-marbled with fat, while the other looked like a tea sandwich featuring a couple of layers of meat sandwiched between fat. A lot of folks will probably be turned off by the fattiness, but if you don’t have a problem with it, you’ll be richly rewarded with some amazing tasting pork. Two thumbs up! 246 Common: The Coolest Food Court in Japan? Omotesando is widely known as being a very posh and fashionable neighborhood, a place to shop at high-end luxury stores. That is why 246 Common, essentially an outdoor food court/farmer’s market made up of a collection of food carts and specialty shops, is so completely — and wonderfully — out of place. 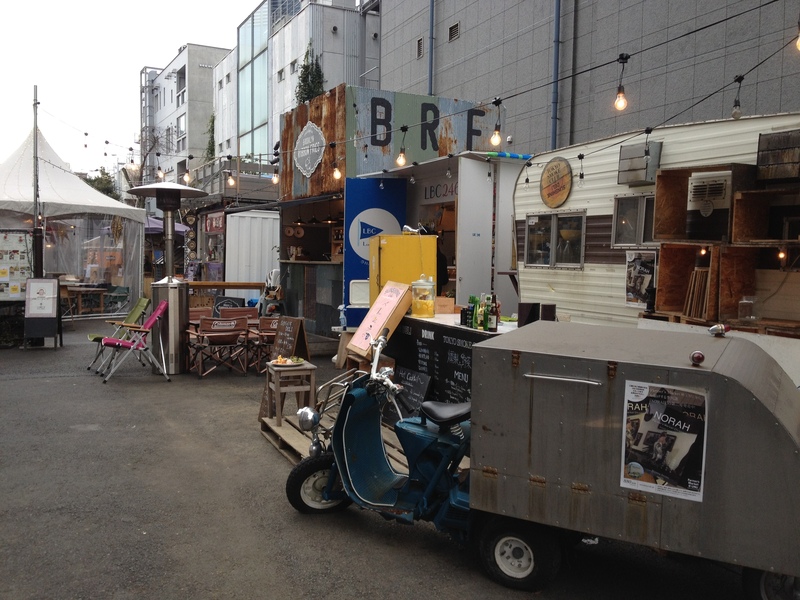 I’ll use an analogy from Los Angeles: If Omotesando is Beverly Hills or Rodeo Drive, then 246 Common is like a piece of the Venice neighborhood, with its laid back bohemian vibe, plopped down right next to it.